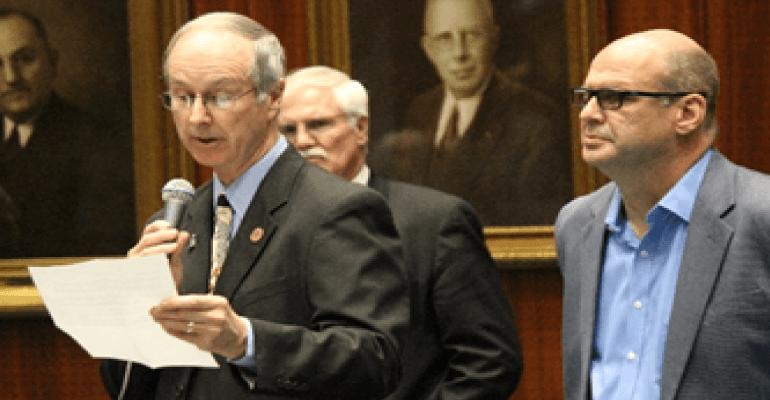 On Tuesday, Representative Bob Thorpe (R-6) welcomed Steve Ronnebeck, the father of Grant Ronnebeck, who was murdered by an illegal immigrant on January 22, 2015. Grant was killed while working as a clerk at a Mesa QuickTrip convenience store. “None of us can imagine the enormous pain of losing a child. The man joining me today experiences that pain every minute of every day,” said Representative Thorpe. Grant’s murderer, Apolinar Altamirano, age 31, was a DREAMER when he shot Grant as he was counting the change Altamirano had spilled on the counter to pay for his cigarettes. Steve has spent the years since Grant’s death bringing attention to the need for border security and against the reckless government immigration policies. Sadly rather then lead on ideas and principles, the failed left have instead chosen to make the Ronnebeck family’s tragic loss little more then collateral damage in their zest to cheat to victory by packing voter rolls with welcomed criminal aliens. In 1962 Ronald Reagan said “I didn’t leave the Democratic party, the Democratic Party left me” and history, now on steroids is repeating itself. How anyone in good conscience can side with systemic lunacy to support the policies of the left is mind boggling. No matter your position on immigration (legal or illegal), Grant Ronnebeck would be alive today had we just enforced the laws we already have on the books instead of playing party politics. How many more people have to needlessly die at the hands of criminal aliens until we get serious about this problem?